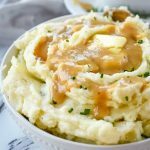 Making the perfect gravy every time is simple with or without pan drippings using the step by step directions from my easy gravy recipe. 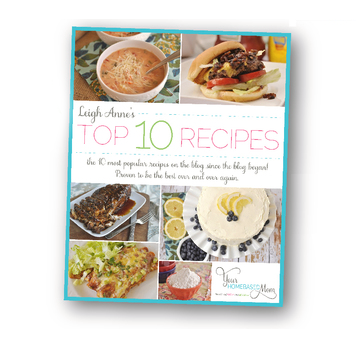 Pour it over potatoes or meat for your holiday meal or anytime! Does making gravy scare you? 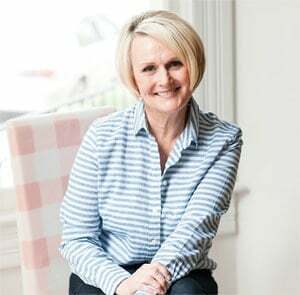 I have to admit it scared me for years and true confession, my husband always made the gravy until recently when I finally decided I could do it! How hard could it be. I quickly discovered that making easy perfect gravy was totally doable. 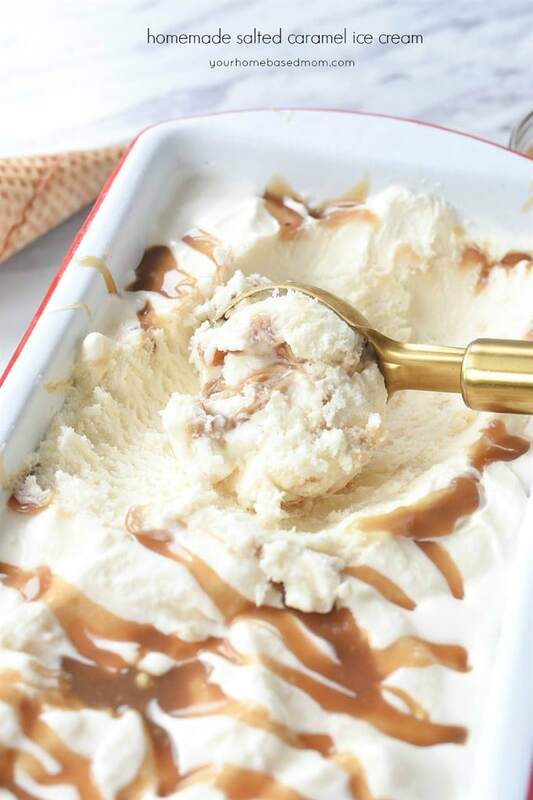 Do I have to have pan drippings to make easy gravy? No! 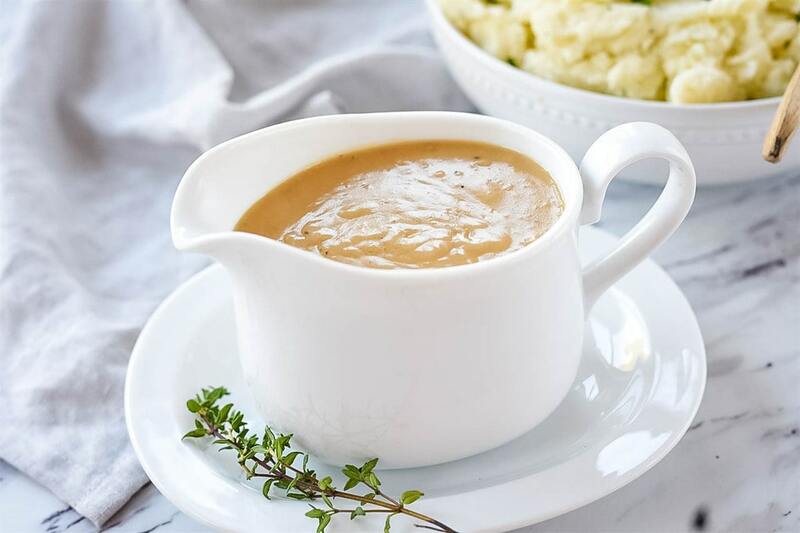 Now, some people may prefer gravy made with the drippings from the roast or turkey but making delicious gravy without it is totally doable. 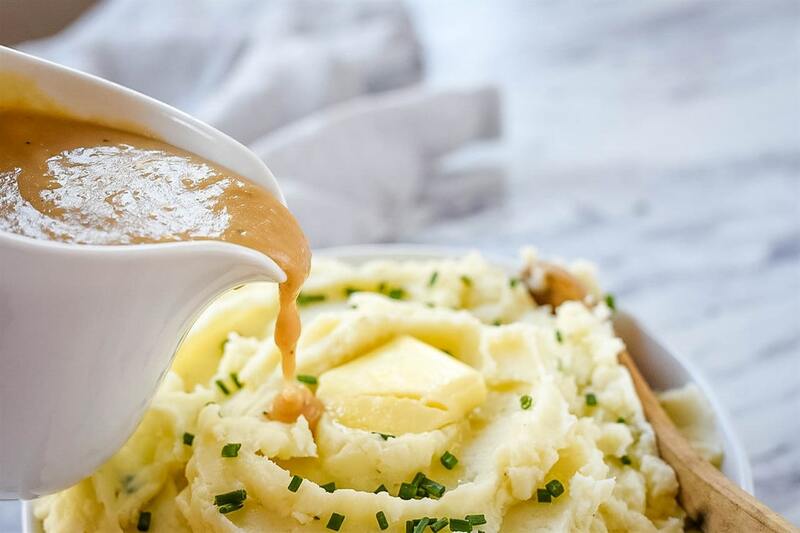 The secret to perfect gravy is a 2:2:1 ratio. 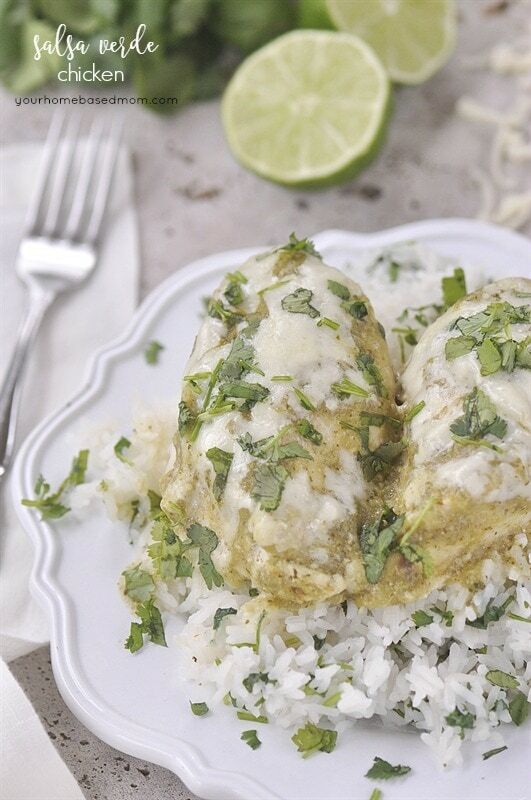 You want 2 Tbsp of fat which can be butter or pan drippings, 2 Tbsp of flour and 1 cup of stock. You can increase the ratio depending on how much gravy you want or need. First, start with your fat, either butter or pan drippings and get it hot in a pan. If you are using butter, allow it to melt slowly. You don’t want to burn your butter. 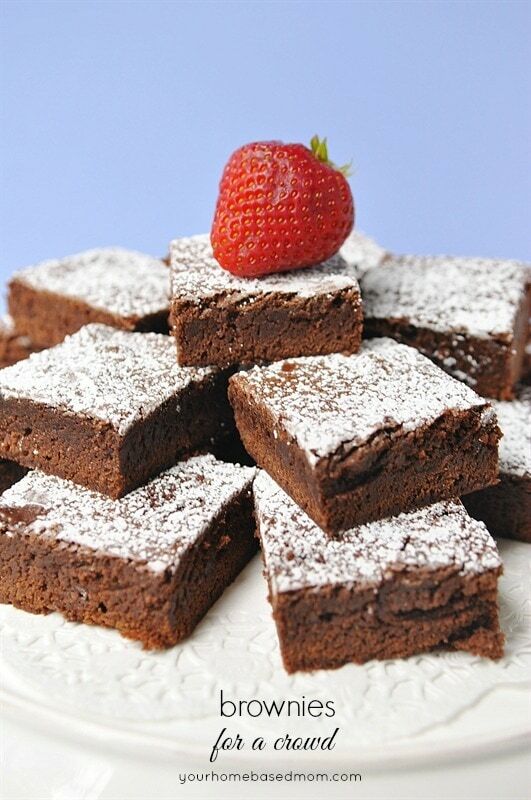 Sprinkle flour over melted butter or pan drippings and whisk. For stock I use either turkey, beef or chicken, depending on what kind of meat I am serving. Slowly pour the stock into the fat and flour mixture. Don’t pour it all in at once or you will end up with lumps. Stir as you pour. The mixture will begin to thicken as you stir over medium heat. Stir constantly until the desired consistency is reached. If it gets too thick, add in some more broth. Then taste for seasoning and add salt and pepper as desired. If I am serving the easy gravy with turkey and didn’t have pan drippings I like to add in a little poultry seasoning for more flavor. 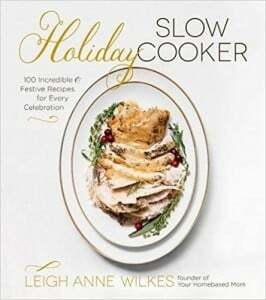 Can I make the easy gravy ahead of time? 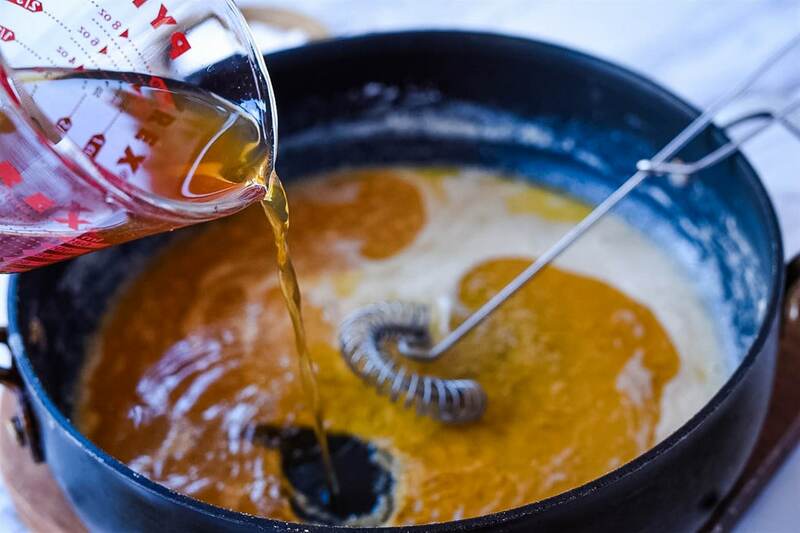 If you are using butter instead of pan drippings you can definitely make it ahead of time. It will keep in the refrigerator for 2 days. 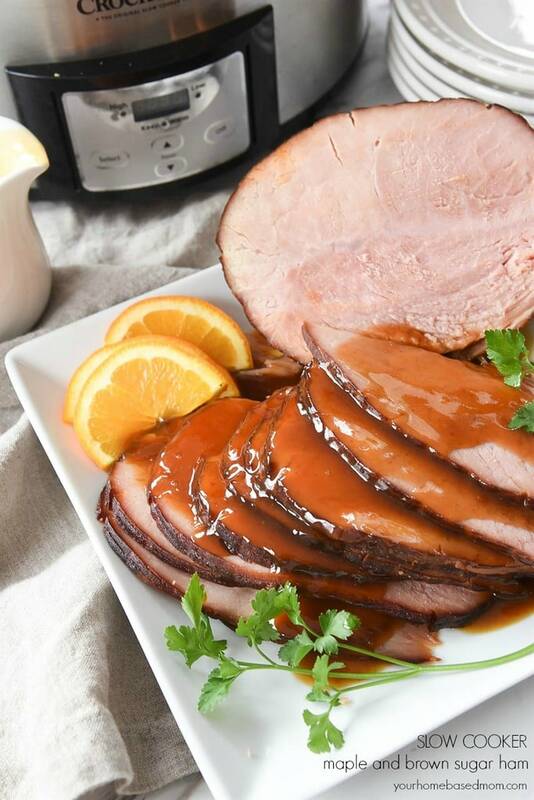 It only takes about 15 minutes to make so if you are using pan drippings it is easy to make as the turkey or roast is sitting for a few minutes before carving. You can also freeze the easy gravy for up to 3 months in an airtight container. Thaw in the refrigerator for a day before use. How do I save the turkey drippings? Fat is the essential ingredient of perfect gravy. If you are roasting a turkey or roast you will end up with quite a bit of fat in the roasting pan. This is your key to amazing gravy. DON’T POUR IT DOWN THE DRAIN! Allow the drippings to cool in the roasting pan after you have removed the meat to allow it to sit for several minutes. 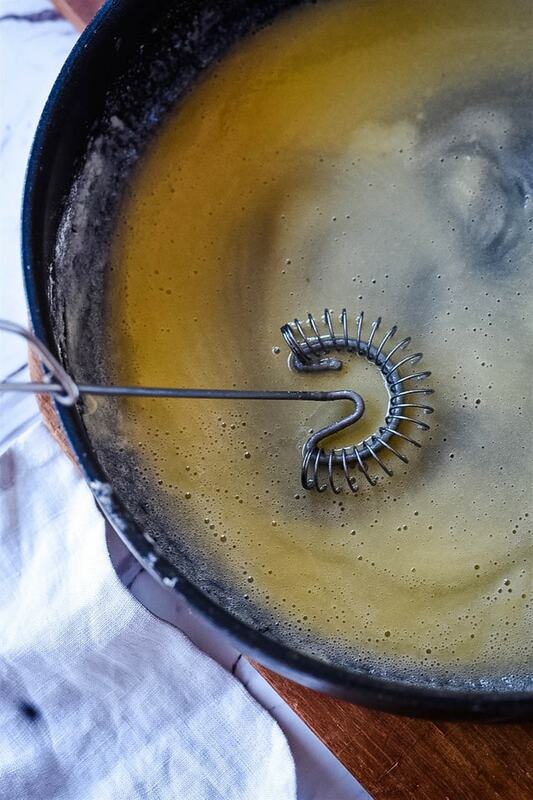 Strain the drippings in a colander over a bowl or pan. Discard what is left in the colander. 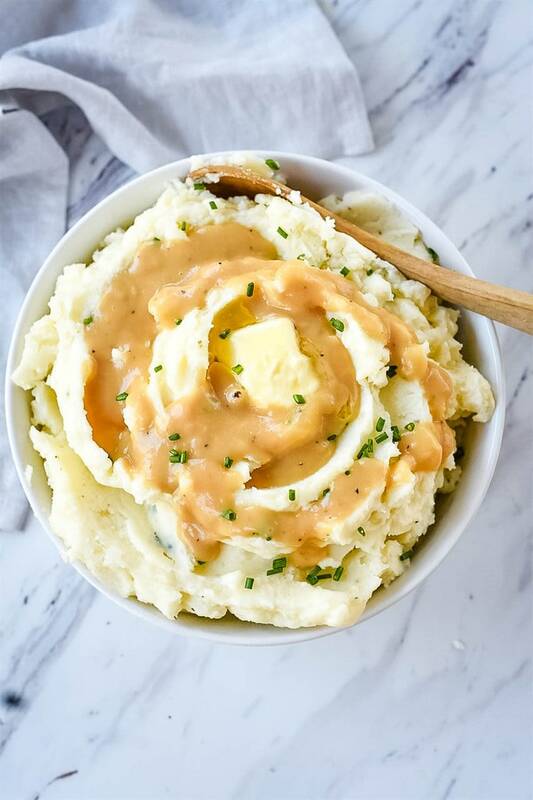 Now use what is in the bowl as the fat in your gravy. Depending on how much seasoning you used on your meat, you may or may not need to season the gravy. 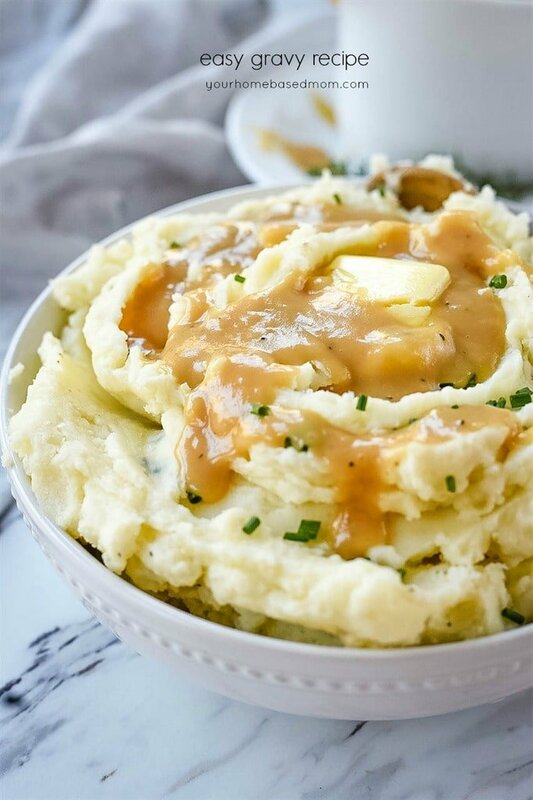 Now you are ready to smother those mashed potatoes and meat in perfect, easy gravy! 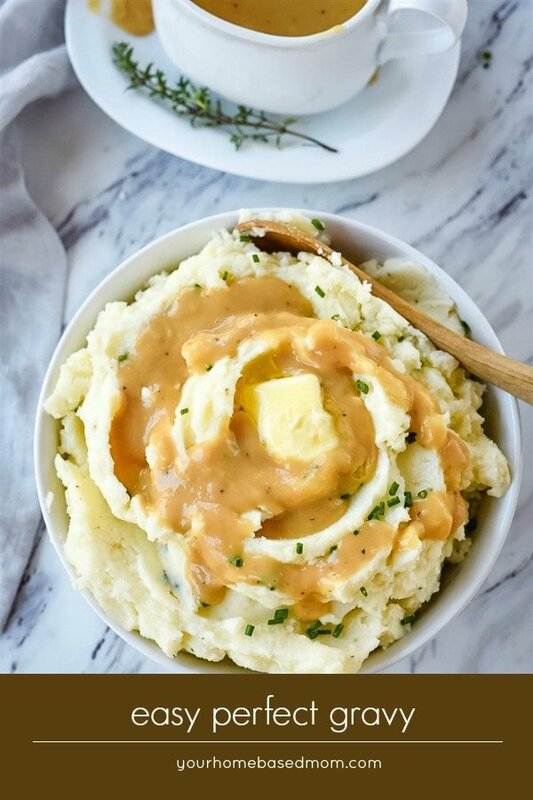 Do you make mashed potatoes just so you can have gravy or the other way around?? 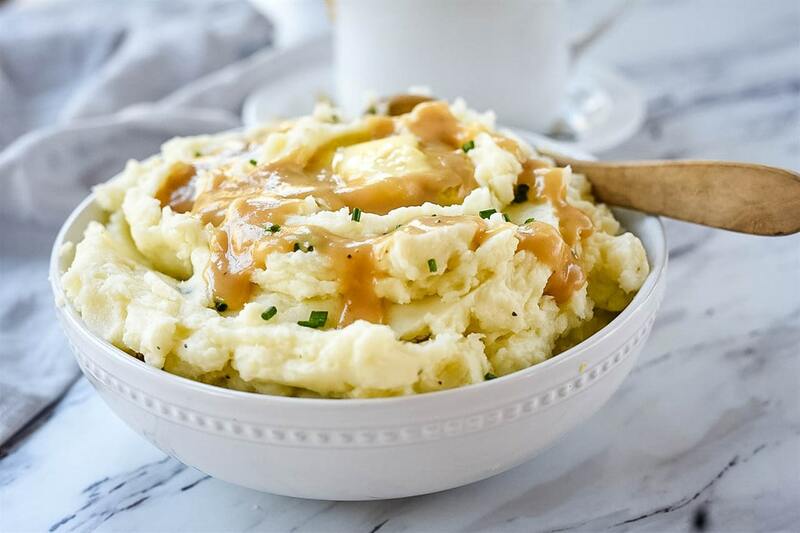 This gravy is perfect with my creamy mashed potatoes. Give them both a try this holiday season. 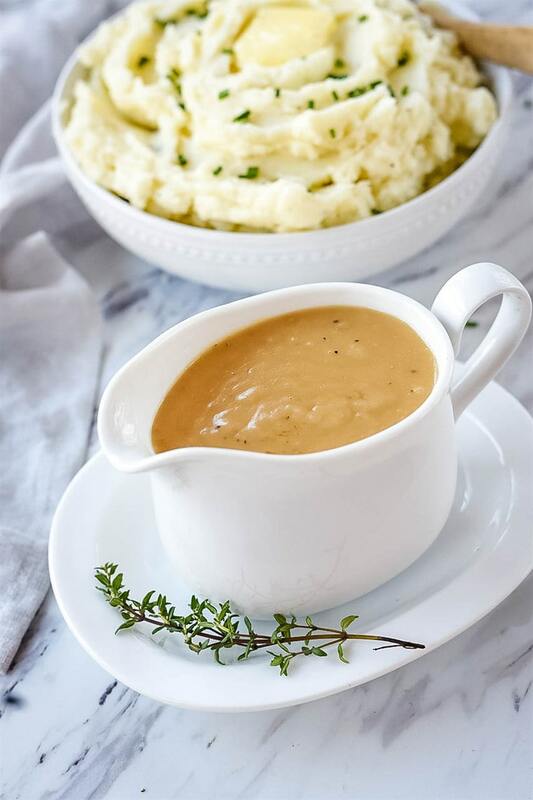 Making the perfect easy gravy every time is simple with or without pan drippings using these step by step directions. Pour it over potatoes or meat! Recipe makes 2 cups. 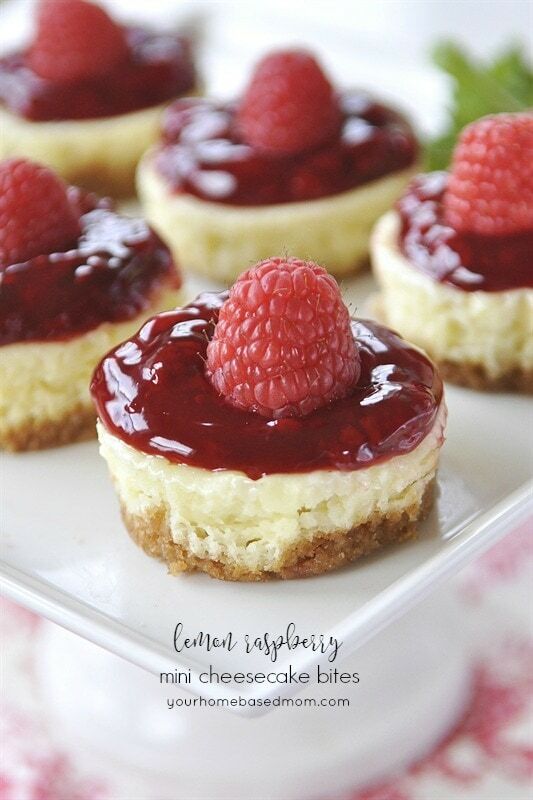 Add butter or pan drippings to a large pan. Melt butter over medium heat. While stirring, add flour a tablespoon at a time. Whisk as you add. Slowly pour in the stock, a cup at a time to prevent lumps. Whisk or stir well. Stir constantly over medium heat until gravy thickens and reaches desired thickness. Add additional broth if it gets too thick. Taste for seasoning and add salt and pepper and/or poultry seasoning if desired. I only use poultry seasoning if I used butter instead of pan drippings.